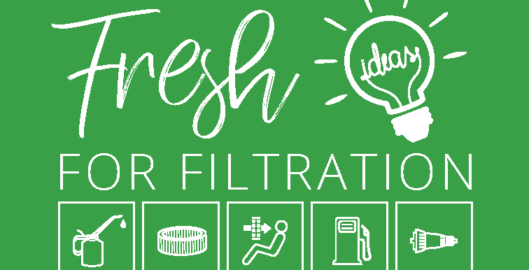 Our goal with the Fresh Ideas blog is to communicate more effectively with our customers and anyone else searching for automotive tech tips. And, the team at IPC Global Solutions is second to none when it comes to anything automotive filtration or windshield wipers. So I know we won’t have any trouble delivering amazing content to our users on a regular basis — Like once a week. That’s a pretty aggressive editorial calendar for a small marketing function like ours, but we worked hard to make sure that we had 6 months of content ready to go before we launched. The process of building out an editorial calendar with careful consideration for seasonal timing and our key product lines was tedious but well worth the effort. We didn’t want to get into a situation where we found ourselves struggling to keep up right out of the gate. Another important aspect we had to consider was to make sure that our content delivery is timed just right for certain products at certain times of the year. This is essential to the growth of our key product categories and allows us to leverage our blog content more effectively in our marketing campaigns. The part of this process that I enjoyed the most was definitely the few weeks worth of brainstorming sessions. I’ve been the Marketing Communications Manager for IPC since September of last year and before joining the team I really couldn’t tell you much about the automotive aftermarket. Our discussions about content and what we wanted to accomplish with the blog was extremely insightful for me. Some of the people I work with have been in the business for over 30 years and have a ton of industry knowledge to share. That fact, coupled with my thirst for knowledge and love of writing in general, has me pretty excited for the potential to dramatically increase our traffic and newsletter subscriptions. Know your audience. I know this sounds cliche, but the truth is that we struggled with knowing exactly who to address for each post. ECOGARD has a few different audiences and some are more important than others. It’s important for us to be able to leverage our content in other areas such as our newsletter, or the installer series, but we also want our content to rank well in organic search. Just be careful and have a clear understanding of who you want to reach if you expect to get the best bang for your content. Think hard about your goals before you begin development. Depending on what your goals are for your blog, you may need different types of functionality to manage your content. At first, we hadn’t considered the important role our blog could play in increasing subscriptions to our newsletter. After our first round of QA, we had to ask for added functionality that would allow us to include call-outs geared toward encouraging our readers to subscribe. Because we planned and executed well, the ECOGARD blog launch has been a great success. Keeping up with your blog shouldn’t seem like a huge chore. It’s quickly become one of my most powerful tools for communicating with our present and future customers. I can honestly say that I look forward to writing something new each week and then having the ability to track readership to quantify the success of whatever I publish. Totally agree! Thanks for sharing your experience and the Airtable tip. I’ll be checking it out soon. Airtable has become a very important tool for the marketing function of IPC. I don’t know how I used to get by without it!